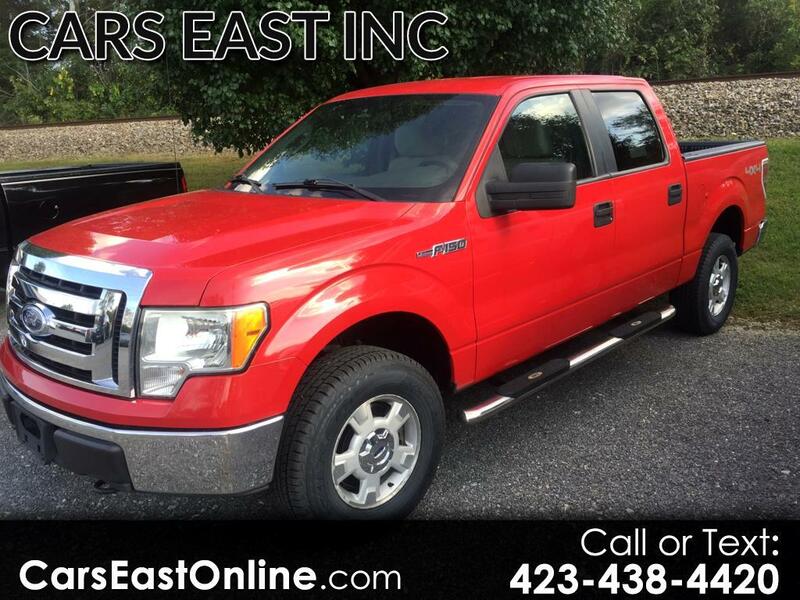 *LOADED WITH OPTIONS*NEW TIRES*ALLOY WHEELS*LOW MILES* This FORD F150 SUPERCREW 4X4 runs and drives smooth,and everything works as it should. This vehicle has been inspected and is in GREAT condition.This vehicle is BELOW book value, and will qualify for easy financing, and LOW PAYMENTS! It is economical to own and operate.Dual climate control with heat and A/C.This one is EXTRA CLEAN! It is SERVICED, AND READY TO GO! See our complete inventory of cars, trucks, SUV's, and vans, at www.carseastonline.com, OR call us direct @423-438-4420. We'll buy your vehicle even if you don't buy ours.Please note that CPO-Used vehicles may be subject to unrepaired manufacturer recalls. Please contact the manufacturer for recall assistance/questions before purchasing.